Chehalis Collision Center strives to maintain the highest standard of quality. The labor performed by Chehalis Collision Center is guaranteed against any defect in workmanship for as long as you own your car. Chehalis Collision Center guarantees that for as long as you own your car Chehalis Collision Center will correct or repair all defects which are attributed to defective or faulty workmanship in the repairs stated on the repair invoice, unless caused by or damaged resulting from unreasonable use, improper maintenance or care of the vehicle. We guarantee the accident damage to the unibody and frame will be returned to factory specifications. Repairs to damage incurred prior to the accident can be made at an additional cost. 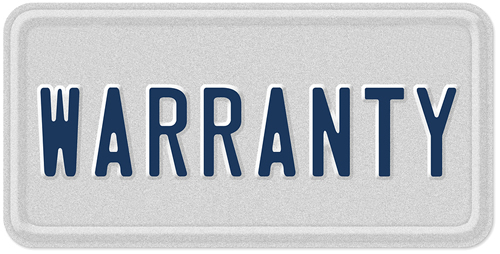 This guarantee covers labor, it does not apply to parts, materials, or equipment subject to the manufacturer's warranty. This guarantee excludes rust repairs where otherwise stated on the repair invoice. Repairs must be made at Chehalis Collision Center. This guarantee is non-transferable. Paint Warranty is valid only when paint is applied over original factory finishes that are free of defect. THIS WRITTEN WARRANTY shall be null and void if the repair is altered, adjusted or tampered with by any person not authorized by the above named shop. This warranty is non-transferable.